The A.P. Moller - Maersk Group is a worldwide conglomerate. We operate in some 130 countries and have a workforce of some 108,000 employees. A1 Minerals Limited was listed in December 2003 on the basis of its prime exploration targets in the historic gold mining region of Laverton in Western Australia’s north eastern goldfields. Abacus Mining is a mineral exploration and mine development company with advanced-stage projects located in the historic Ajax Mining Camp near the city of Kamloops, British Columbia. Abengoa Solar develops and applies technologies to generate electricity from the sun, working to limit climate change and to develop local communities using mostly concentrating solar thermal, but also photovoltaic technologies. abertis is an international group which manages mobility and telecommunications infrastructures through three business areas: tollroads, telecommunications infrastructures and airports. Abitibi Mining is a member of the Hughes Exploration Group of Companies and is led by a team with a stellar track record of discovery and development in Canada. ABO Wind is one of Europe's most experienced developers of projects for the production of renewable energy. We plan, finance and build wind farms and biogas plants. AboitizPower is a leader in the Philippine renewable generation industry with investments in geothermal and hydroelectric generation assets located throughout the Philippines. AboitizPower also pioneered the systematic development of small hydroelectric generation plants back in late 1980’s. Abra Mining Limited is exploring the 100% owned Abra base metal deposit and surrounding South Bangemall Projects area in Western Australia’s mid-west region. Abu Dhabi National Energy Co.
TAQA was founded in 2005 with the objective of becoming a global leader in the energy sector. Today, we have a workforce of 2,800 drawn from 41 nationalities working in thirteen markets across the world, from India to Canada and Abu Dhabi to the United Kingdom. Abu Dhabi National Oil Co.
Abu Dhabi National Oil Company (ADNOC) was established in 1971, to operate in all areas of the oil and gas industry and since then has steadily broadened its activity establishing companies and subsidiaries and creating an integrated oil and gas industry in Abu Dhabi. Acron Group is a Russian group of interrelated companies and one of the leading global mineral fertilizer producers in the world. The AES Corporation is a global power company with generation and distribution businesses. Through our diverse portfolio of thermal and renewable fuel sources, we provide affordable and sustainable energy in 27 countries. AES Tiete S.A., together with its subsidiaries, engages in the generation and sale of electric power in Brazil. Afferro Mining Inc. is an established TSX and AIM listed iron ore development company with projects in west Africa. ABG is Tanzania’s largest gold producer and one of the five largest gold producers in Africa. Agip, a division of ENI SpA (Italy) is a hydrocarbon exploration and production specialist. Agip (Azienda Generale Italiana Petroli - General Italian Oil Company) is an Italian automotive gasoline and diesel retailer established in 1926. It is a subsidiary of the multinational petroleum company Eni. Akkord, one of the leaders of the construction sector of Azerbaijan, was established in 2005. Akkord is employing over 5,000 people for daily work in all countries. Albidon is an Africa-focused exploration and development company with an emphasis on nickel. Al-Jubail Petrochemical Company (Kemya) is a 50-50 joint venture between Saudi Basic Industries Corporation (SABIC) and Exxon Chemical Arabia Inc., an affiliate of ExxonMobil Chemical Company. ALLETE (NYSE: ALE) is well-positioned as a reliable provider of competitively-priced energy in the upper Midwest, and has a strategic investment in the American Transmission Company. Employing more than 9,200 personnel, Ameren companies serve 2.4 million electric customers and nearly one million natural gas customers across 64,000 square miles in Illinois and Missouri. Anadarko is among the largest independent oil and natural gas exploration and production companies in the world, with 2.54 billion barrels of oil equivalent (BBOE) of proved reserves at year-end 2011. Anglo American Platinum Limited is the world's leading primary producer of platinum group metals (PGMs) and accounts for about 40% of the world's newly mined platinum. Headquartered in Johannesburg, South Africa, AngloGold Ashanti has 20 operations on four continents and several exploration programmes in both the established and new gold producing regions of the world. Anshan Iron & Steel Group Corp.
Antofagasta is a Chilean-based copper mining group with interests in transport and water distribution. APA Group (APA) is Australia’s largest natural gas infrastructure business, owning and/or operating more than $8 billion of gas transmission and distribution assets. Apache Corporation is an independent energy company that explores for, develops and produces natural gas, crude oil and natural gas liquids. AboitizPower is the holding company for the Aboitiz Group’s investments in power generation, distribution, retail and power services. AOC provides the highest level of cost-effective and timely services to Saudi Aramco, the national oil company of the Kingdom of Saudi Arabia, and our sister affiliates to ensure they fulfill their mission to provide energy to the world. ArcelorMittal is the world's leading integrated steel and mining company, with a presence in more than 60 countries. AREVA supplies solutions for power generation with less carbon. Its expertise and unwavering insistence on safety, security, transparency and ethics are setting the standard, and its responsible development is anchored in a process of continuous improvement. Arrow Energy is an energy company focused on the development of coal seam gas throughout eastern Australia and Asia. ATCO Electric is a part of the ATCO Group of Companies. Founded in 2006, Athabasca Oil Corporation, an Alberta based company, is focused on the sustainable development of oil sands in the Athabasca region in northeastern Alberta and light oil resources in northwestern Alberta, Canada. Aura Minerals is a Canadian mid-tier production company focused on the exploration, development and operation of gold and base metal projects in the Americas. Australian Pacific Coal Limited (AQC, formerly Pacific Enviromin Limited) is an Australian coal-based company focusing on identifying and developing coking, PCI and thermal coal deposits in Queensland, Australia. Avantha Power & Infrastructure Ltd.
Avantha Power & Infrastructure Limited is an established power generation company with 191 MW of operational thermal power capacity; 2,400 MW of generating capacity under various stages of implementation; and 1,320 MW of generating capacity under planning spread across India. AWE is an Australian oil and gas exploration and production company listed on the Australian Stock Exchange (ASX). BAPCO, wholly owned by the Government of Bahrain, is engaged in the oil industry including exploration and prospecting for oil, drilling, production, refining, distribution of petroleum products and natural gas, sales and exports of crude oil and refined products. Bandanna Energy Limited holds 16 Exploration Permits for Coal (EPC’s) in the Bowen and Galilee basins in Queensland where more than 1,500 million tonnes of JORC compliant net coal resource has been delineated. Banpu was established in Thailand in 1983 as a coal-mining venture and was listed on the Stock Exchange of Thailand in 1989. In the 1990s the Company diversified into power project development in Thailand, coal mining in Indonesia, port operations and industrial minerals. BASF is the world’s leading chemical company. With about 110,000 employees, six Verbund sites and close to 385 production sites worldwide we serve customers and partners in almost all countries of the world. JSOC Bashneft is a new, fast-growing, vertically integrated oil company, modeled after the largest energy companies in the Republic of Bashkortostan. The Company is among the ten leading Russian oil and gas producers and the domestic oil-industry leader in production growth and refining depth. Bayerngas GmbH, Munich, is the communal gas procurement platform for its municipal shareholder customers, its regional shareholder customer from Tirol as well as for regional providers and major industrial customers. Beacon Power is a global leader in the development and commercialization of flywheel-based energy storage solutions for grid-scale frequency regulation services and other utility-scale and unitary energy storage applications. For 40 years BERG has been helping international mining companies improve the up-time on critical assets in Pumps, Valves and Gearboxes. A leading player in the global energy market, BG Group is a dynamic growing business with operations in more than 25 countries over five continents. Birimian Gold is a mineral exploration company holding substantial interests in several highly prospective gold projects in West Africa; a gold rich region which has produced in excess of 250 million ounces of gold from large, low cost mines. Blyvooruitzicht Gold Mining Company Limited (Blyvoor) has underground and surface operations and is situated on the north-western edge of the Witwatersrand Basin, to the south of the town of Carletonville in North West Province. We are Ireland’s leading environmentally responsible integrated utility service provider encompassing electricity, heating solutions, resource recovery, water, horticulture and related services. With more than 50 years of experience in polyolefins and using our unique Borstar® and BorlinkTM technologies, we focus on providing plastic materials to the infrastructure, automotive and advanced packaging markets across Europe, the Middle East and Asia. BP Exploration & Production Inc.
BP's Exploration and Production division is responsible for the discovery, production and transportation of oil and gas to market. It operates in around 30 countries and employs more than 20,000 people. Braskem is America's leading thermoplastic resin producer and the largest producer of polypropylene in U.S., with a focus on polyethylene, polypropylene and PVC. Braskem figures among leading global petrochemical producers and plans to become one of the largest petrochemical groups in the world. BrightSource Energy, Inc. designs, develops, and deploys solar thermal technology to produce high-value electricity and steam for power, petroleum, and industrial-process markets worldwide. Brunei Shell Petroleum Company Sdn Bhd’s activity is primarily for the exploration and production of crude oil and natural gas from onshore and offshore fields. It also owns the Brunei Refinery. The Government of Brunei Darussalam and The Asiatic Petroleum Company Limited are equal shareholders. Bumi Armada Berhad is the largest owner and operator of offshore support vessels in Malaysia and is an established and trusted service partner in the oil and gas industry. C&C Energia Ltd. ("C&C" or the "Corporation") is a publicly traded, independent oil and gas company that trades under the symbol “CZE” on the Toronto Stock Exchange (“TSX”). Cabot Oil & Gas Corporation is an independent oil and gas company engaged in the development, exploitation and exploration of oil and gas properties exclusively in the continental United States. As of December 31, 2011 the Company had approximately 3,033 Bcfe of total proved reserves. Cache is a publicly traded mineral-resource company (TSX-V:CAY) with a focus on exploration for rare-earth elements (REE's), and other metals required by the new high tech industries and energy-saving technologies . Cadan Resources Corporation is a mineral company engaged in the exploration of precious and base metal projects (gold-silver-copper) with a high quality portfolio of mineral assets, located in Philippine Island of Mindanao, long recognized as one of the country’s most mineralized areas. Cadillac Mining Corporation is a junior exploration and development company based in Vancouver, Canada focused on large-scale precious and base metal projects in the Abitibi geological province in Canada, and the Great Basin in the western USA. Cadman Resources Inc. trades on the Canadian National Stock Exchange under the symbol CUZ The starting point of our strategy is to complete the development of our joint venture opportunity with Q-Gold Resources at their Golden Star and Baseline Nugget Claims Project in Northern Ontario. Cadogan is an independent oil and gas exploration, development and production company with onshore gas and condensate assets in Ukraine. Cadogan has built a diversified portfolio of assets through a series of acquisitions since December 2005. Caerus Resource Corporation is focused on the exciting mineral exploration opportunities in Colombia, South America. Colombia is one of the most prospective counties in South America, yet it is underexplored. Cairn explores for, discovers, develops and produces oil and gas assets globally. We have a proven track record of creating and delivering transformational value through focused exploration and development. Caithness Development, L.L.C. and its affiliate Caithness Energy, L.L.C. (collectively "Caithness") are privately held Independent Power Producers specializing in power generation from environmentally friendly renewable and non-renewable energy resources. Calais Resources is a mining exploration company with a focus on gold and silver mineral properties. The Company owns the Cross / Caribou gold and silver mine in Colorado and the White Caps mine in Manhattan, Nevada. The Company holds a 100% interest in the Consolidated Caribou District Mines. Caledonia is an African focused mining and exploration company with an operating gold mine in Zimbabwe, a copper-cobalt exploration project in Zambia and two platinum-nickel exploration projects in South Africa. Calibre Mining Corp. (TSX.V: CXB) is a Canadian-based exploration and mine development company with gold, silver and copper mineral exploration projects in the highly prolific Mining Triangle of northeastern Nicaragua. California Gold Corp. is an early stage US public company pursuing a mineral exploration strategy in the metals mining sector in the Americas, with an initial focus on identifying and acquiring rare and precious metals mining opportunities for development and production. Callabonna Uranium Limited (CUU) was created in September 2009 through the merger of listed MKY Resources Limited (MKY) and then unlisted Callabonna Uranium Limited. The merged company adopted the Callabonna Uranium name and the ASX code:CUU. Callon Petroleum Company is an independent oil and natural gas company which since 1950 has been focused on building reserves and production both onshore and offshore through efficient operations and low finding and development costs. Calvalley Petroleum Inc. is an international oil and gas company based in Calgary, Alberta which is focused on exploration and development of Block 9 in the Republic of Yemen and exploration of the Gimbi and Metema Blocks in Ethiopia. Calypso Uranium Corp. is dedicated to the exploration and development of mineral and energy projects with over 510,000 hectares or 5,100 km2 of highly prospective uranium properties in South America and the United States. Cambridge Mineral Resources Plc ("CMR") is a mineral exploration and development company, founded in 1992, with over 2,400 individual and institutional shareholders. CMR is not currently listed on any investment exchange. Camino Minerals Corp. is a discovery-orientated mineral exploration company formed in connection with Goldcorp Inc.'s C$300-million acquisition of Canplats Resources Corp. Camino is led by Canplats' former management and is focused on precious and base metal projects located in Mexico. Canada Energy Partners Inc. (“the Company”) is an emerging Canadian natural gas exploration and development company with a concentrated land position in high-impact multi-zone potential areas in northeastern British Columbia. Canada Zinc Metals is a mineral exploration company focused on unlocking the potential of a future long life mining district in the low-risk development environment of British Columbia, Canada. Canadian Arrow Mines, Ltd. (CRO-TSXV) is an experienced exploration and mine operating team that is focused on acquiring and developing economically viable nickel-copper sulphide deposits near existing infrastructure. A rich history and a bright future. We are more than just a railroad. We are a transportation company that offers integrated transportation services: rail, intermodal, trucking, freight forwarding, warehousing and distribution. We continue to deliver the goods year in and year out. Canadian Oil Sands provides a pure investment opportunity in the oil sands through its 36.74 per cent interest in the Syncrude Project. Syncrude is a leader in Canada’s oil sands industry, operating since 1978 with a productive capacity of 350,000 barrels per day of light, high-quality crude oil. Canadian Orebodies Inc. (TSXV:CO) is a junior natural resource exploration and development company with a number of mineral properties located in Canada. The Company is dedicated to its properties and prides themselves on the extensive research they devote to them. Just as we drove the Last Spike in 1885, today we are driving the digital railway, putting state-of-the-art technology at the fingertips of our employees; innovation and technology that is modernizing Canada's rail industry and the worldwide supply chain. Canadian Phoenix Resources Corp. is a publicly-traded junior oil and gas exploration, development and production company with operations in Western Canada. Canadian Phoenix shares trade on the TSX Venture Exchange under the symbol "CXP". Canadian Quantum is located in Calgary and has been actively involved in the gas exploration business for many years. Canadian Quantum has an experienced board and management team that clearly understands the gas market, the opportunities, players & partners. CanAlaska Uranium Ltd. is undertaking uranium exploration in the Athabasca Basin of Saskatchewan, Canada, with a mission to discover one or more giant uranium deposits. The Athabasca Basin contains the world's richest and most profitable uranium mines. CanAm Coal Corp. ("CanAm" or the "Company") is a coal producing and development company focused on growth through the acquisition, exploration and development of coal resources and resource-related technologies. Canamex Resources Corp. (Canada: TSX.V:CSQ) (US: OTCQX:CNMXF) (Frankfurt: FSE:CX6) is focused on two gold exploration projects: Aranka North Gold Project, Guyana, South America and Bruner Gold Project, Nevada, USA. CanTex Energy Corp is a diverse renewable energy production and development company. We are involved in wind, and oil and gas production and bio-renewables. We are fast moving towards our goal to be net reducers of carbon emissions. Cape Alumina is Australia's leading pure-play bauxite company, evaluating one of the country's largest under-developed, export-quality bauxite deposits. Capstone Mining Corp. is a Canadian base metals mining company with two producing copper mines, the Cozamin copper-silver-zinc-lead mine located in Zacatecas State, Mexico and the Minto copper-gold-silver mine in Yukon, Canada. Established in 1989 and listed on the Australian Securities Exchange in 1994, Centennial is a coal mining and marketing company supplying thermal and coking coal to the domestic and export markets. CMP started with 100 customers in 1899. Today we serve more than 600,000. By providing outstanding customer service, promoting competition and focusing on growth, CMP will continue to be a valuable asset to communities throughout our service area. We are an integrated energy company operating predominately in the UK and North America. Upstream we source, generate, process, trade and store energy. Cheniere Energy is a Houston-based energy company primarily engaged in LNG-related businesses. We own and operate the Sabine Pass LNG receiving terminal in Louisiana. We are a Delaware limited partnership formed by Cheniere Energy, Inc. Through our wholly owned subsidiary, Sabine Pass LNG, we own and operate the Sabine Pass LNG receiving terminal in western Cameron Parish, Louisiana on the Sabine Pass Channel. 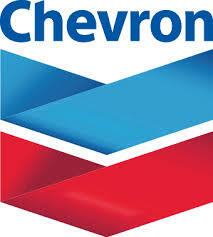 Chevron is one of the world's leading integrated energy companies, with subsidiaries that conduct business worldwide. Chevron Corporation and Phillips Petroleum Company, now Phillips 66, combined their worldwide petrochemical businesses, excluding Chevron’s oronite additives business, to form Chevron Phillips Chemical Company LLC. Chevron and Phillips 66 each own 50 percent of Chevron Phillips Chemical. With growing global demand for transport fuels and clean technologies, the Company is focused on rapidly scaling its biodiesel fuel production capacity. China National Nuclear Corporation (CNNC) is the large state-owned enterprise under the direct management of the central government. Historically, CNNC successfully developed the atomic bomb, hydrogen bomb and nuclear submarines and built the fist nuclear plant in the main land of China. CPDC is the upstream raw material main suppler for resin, engineering plastics and three major types of synthetic fibers including nylon 6 fiber, acrylic fiber and polyester fiber in Taiwan. As of the end of 2009, CTGPC had an installed capacity of 21,035MW from TGP-Gezhouba project in operation, 24,460MW from hydropower projects under construction and 24,464MW from hydropower projects being planned and prepared. A cascade roll development system has been established initially. Claude Resources Inc. ("Claude" or the "Company") is a Saskatoon, Saskatchewan based gold producer whose shares are listed on the Toronto Stock Exchange (TSX-CRJ) and the NYSE MKT (NYSE MKT-CGR). The Company is also engaged in the exploration and development of gold and other precious metals. The Group is China’s largest producer of offshore crude oil and natural gas and one of the largest independent oil and gas exploration and production companies in the world. The Group mainly engages in exploration, development, production and sales of oil and natural gas. After 150 years in the Hunter Valley region of New South Wales, Coal & Allied is one of the major coal producers in the region, employing approximately 1500 people across our three operations. Coal & Allied is managed by Rio Tinto Coal Australia. Cockatoo Coal Limited is a rapidly growing Australian metallurgical and thermal coal producer. ConocoPhillips uses its pioneering spirit to responsibly deliver energy to the world. This purpose transcends all of ConocoPhillips’ operations. We specialize in VSD technology that can help improve productivity, increase process safety and running in energy saving cost effective operation. Our VSD can help process engineers implement a complete digital control and predictive diagnosis with advanced monitoring of both process and plant. Coro Mining Corp. ("Coro") is a Canadian public Company listed on the TSX (COP-TO). Built by proven mine-finders and developers. Cottesloe Oil & Gas Pty. Ltd.
Crazy Horse Resources is the owner and operator of the Taysan Project, an advanced copper-gold porphyry deposit located 100km south of Manila, Philippines and 20 km away from the country's major port. Cresecent Point Energy Corp. (TSX: CPG) is an oil & gas production company based in Calgary, Alberta, Canada. The company focuses primarily on crude oil production in southern Saskatchewan. As of year-end 2010, Crescent Point employs more than 500 people. Crosstex is the leading independent midstream energy services company. Cuadrilla is a UK company based in Staffordshire. Formed in 2007 as a privately owned exploration and production company, our focus is on bringing together experts to recover natural resources, such as those found in Lancashire. CVM Magnesium Sdn Bhd ("CVMSB") (formerly known as Commerce Venture Magnesium Sdn Bhd), is operating a magnesium smelter located in the State of Perak in Malaysia. Since being established in 1994, Dana has built a solid business through organic growth and acquisitions, resulting in a broad portfolio of E&P opportunities generating strong free cash flow and potential future reserves growth. Norwegian oil & gas company with a large license portfolio on the Norwegian continental shelf, an active exploration campaign and growing production. HQ in Trondheim and offices in Oslo. Dominion is one of the nation's largest producers and transporters of energy, with a portfolio of approximately 28,200 megawatts of generation, 11,000 miles of natural gas transmission, gathering and storage pipeline and 6,300 miles of electric transmission lines. Dragon Oil plc is an independent international oil and gas exploration, development and production company. Our principal producing asset is the Cheleken Contract Area, in the eastern section of the Caspian Sea, offshore Turkmenistan. Meeting customer satisfaction and promoting Dubai’s vision through delivery of electricity and water services at a world-class level of reliability, efficiency, safety and environment by a competent workforce and effective partnerships; supporting resources sustainability. Duluth Metals Limited (TSX:DM, DM.U in $US) is a Canadian advanced stage mineral exploration Company committed to acquiring, exploring and developing copper, nickel and platinum group metal (PGM) deposits. E.ON is one of the world's largest investor-owned power and gas companies. At facilities across Europe, Russia, and North America, our nearly 79,000 employees generated just under EUR113 billion in sales in 2011. We have an ambitious objective: to make energy cleaner and better wherever we operate. The mission of Vice Presidency of Exploration is to "Direct the exploratory activity of Ecopetrol S.A. to increase the volume of hydrocarbon reserves by finding new oil or gas reserves directly, in association with third parties and/or purchasing them". Eldorado Gold Corporation is a Canadian international gold producer with six operating mines, one mine under construction, two development projects and an extensive 2011 exploration program. According to capital valuation and with a staff of 34,130 employees (including employees from Kosovo and Metohija) as of 31 December 2010 Electric Power Industry of Serbia is the largest enterprise in the country. Enagas is the Technical Manager of the Spanish Gas System and the main carrier of natural gas in Spain. It is also certified as independent TSO European Union, which homologates the company to gas transmission network operators of other European countries. Endeavour International Corporation is an independent energy company focused on the exploration, production and acquisition of energy reserves in the North Sea and United States. Energy Resources of Australia Ltd is one of the largest uranium producers in the world. Uranium has been mined at Ranger for three decades. Ranger mine is one of only three mines in the world to produce in excess of 100,000 tonnes of uranium oxide. EnQuest is an independent oil and gas development and production company, focused on turning opportunities into value by targeting maturing assets and undeveloped oil fields. Enterprise Products Partners L.P. is one of the largest publicly traded partnerships and a leading North American provider of midstream energy services to producers and consumers of natural gas, NGLs, crude oil, refined products and petrochemicals. ENRC is one of the leading diversified natural resources groups with integrated mining, processing, energy, logistical and marketing operations. As a global organization that operates wind and solar farms around the world, Eurus Energy Group works with communities to develop optimal solutions and disseminate and expand renewable energy technologies. Fairfield was created specifically as a UK focused independent to participate in the realignment of North Sea asset ownership in this mature province as it entered its fifth decade of exploration and production history. Falcon Oil & Gas Ltd. is a global energy company that is focused on acquiring, exploring and developing large acreage positions of unconventional and conventional oil and gas resources. Faroe Petroleum is an independent oil and gas company focusing principally on exploration, appraisal and production opportunities in the Atlantic Margin, the North Sea and Norway. First Quantum is a well established, fast-growing mining businesses with operations in Zambia, Australia, Mauritania, Finland and Peru. This rapid growth is down to the resourcefulness, talent and conviction of the people it employs. First Solar is a leading global provider of comprehensive photovoltaic (PV) solar systems using its advanced thin film modules. The company’s integrated power plant solutions deliver an economically attractive alternative to fossil fueled electricity generation today. Florida Power & Light Company is the largest electric utility in Florida and one of the largest rate-regulated utilities in the United States. FPL serves approximately 4.5 million customer accounts in Florida and is a leading employer in the state with more than 10,000 employees. Focus Minerals Ltd (ASX: FML) is one of Australia’s most dynamic gold producers, operating four mines across Australia’s two largest gold producing regions – The Kalgoorlie / Coolgardie gold belt and Laverton districts in Western Australia. Fortescue is the New Force in Iron Ore and has joined the world's leading producers of iron ore.
Fortum’s purpose is to create energy that improves life for present and future generations. We provide sustainable solutions that fulfil the needs for low emissions, resource-efficiency and energy security, and deliver excellent value to our shareholders. Freeport-McMoRan Copper & Gold Inc. (FCX) is a leading international mining company with headquarters in Phoenix, Arizona. FCX operates large, long-lived, geographically diverse assets with significant proven and probable reserves of copper, gold and molybdenum. Our business spans the exploration, development and construction, extraction and beneficiation phases of the precious metals value chain. We focus on high potential projects that can be developed into low-cost, world-class miines. FRI-EL Green Power specializes in the production and sale of electrical energy obtained from renewable sources. FRI-EL Green Power is one of the most important Italian companies on the field of the production of electricity from renewable sources. Gasunie is a European gas infrastructure company. We provide the transport of natural gas and green gas in the Netherlands en the Northern part of Germany. We are please to introduce our selves as a leading Corrosion Engineers, Contractor & Consultant. The company was established way back in 1980. Late. Shri Pravinbhai Aniruddh Pathak had laid down the building block for this great empire with his great vision and foresight for a bright future. Gazasia’s core purpose is to help improve the air quality of Asia’s cities by providing sustainable, green transport solutions, utilising waste that would otherwise be left to pollute the environment. Gazasia is an alternative fuel company providing waste-to-fuel solutions. Gazprom Neftand its subsidiaries are a vertically integrated oil company. Operations are focussed on the exploration, development, production and sale of crude oil and gas, as well as oil refining and the marketing of petroleum products. Gazprom is one of the world’s largest energy companies. Its major business lines are geological exploration, production, transportation, storage, processing and marketing of hydrocarbons as well as generation and marketing of heat and electric power. We are a science-led global healthcare company that researches and develops a broad range of innovative medicines and brands. Our products are used by millions of people around the world, helping them to do more, feel better and live longer. Glencore is a leading integrated commodities producer and marketer. We produce, source, process, refine, transport, store, finance and supply commodities needed by industries around the world. GoGold Resources Inc. (TSX-V: GGD) is a Canadian-based, mineral resource company with properties in Mexico and Canada. Gold Fields is one of the world’s largest unhedged producers of gold with attributable annualised production of 3.5 million gold equivalent ounces from eight operating mines in Australia, Ghana, Peru and South Africa. Gold Road Resources Limited is a gold exploration company which owns tenements covering over 5,000 square kilometres of the Yamarna greenstone belt. The Yamarna Belt is located approximately 150km east of Laverton on the eastern edge of the Yilgram Craton in Western Australia. Goldcorp is one of the world’s fastest growing senior gold producers, with operations and development projects located in safe jurisdictions throughout the Americas. Gossan Resources Limited is engaged in the exploration and development of a broadly diversified portfolio of properties hosting gold, platinum group and base metals, as well as the specialty and minor metals - vanadium, titanium, tantalum, lithium, and chromium. Grand Gulf Energy Limited (ASX: GGE) is targeting conventional oil and gas opportunities in the United States. Greenpark Energy has interests in approximately 3,000 km² located onshore in the United Kingdom, which is the largest onshore acreage position of any oil and gas company in the United Kingdom. GTL Limited, a Global Group Enterprise, is a leading Network Services company, offering services and solutions to address the Network Life Cycle requirements of Telecom Carriers and Technology providers (OEMs). Gulfsands Petroleum Plc is an independent oil and gas exploration and production company, whose shares are traded on the London Stock Exchange (symbol: AIM:GPX). HCPL, a subsidiary of Hancock Prospecting Pty Ltd has a long-standing interest in the development of the Galilee Basin, with the parent company having held coal exploration permits and investigated the Alpha region since the 1970s. Hancock Prospecting Pty Ltd (HPPL) is a diversified Australian energy and resources company, with a strong record of pioneering the economic development of regional Australia. Hardy Oil and Gas plc is an international oil and gas exploration and production company primarily focused on India. The Group has assembled an attractive portfolio of exploration, development and production assets. In FY11, Harmony produced 1.30 million ounces of gold, making it one of the world’s largest gold mining companies. Harvest Natural Resources, Inc. (NYSE-HNR) is primarily focused on the exploration for and the acquisition and development of oil and gas fields in known hydrocarbon basins worldwide. Highland Gold Mining Limited was incorporated in Jersey on 23 May 2002 for the purpose of acquiring, consolidating and developing a portfolio of quality gold mining projects in the Russian Federation with good growth potential. IAMGOLD is a leading mid-tier gold mining company producing approximately one million ounces annually from five gold mines (including current joint ventures) on three continents. IDE Technologies Ltd. is a pioneer and world leader in water technologies. The company specializes in the development, engineering, production and operation of advanced desalination as well as innovative industrial solutions. Impala Platinum Holdings Limited (Implats) is in the business of mining, refining and marketing of platinum group metals (PGMs), as well as nickel, copper and cobalt. Indorama Eleme Petrochemical Ltd (IEPL), located in Port Harcourt, Rivers state, Nigeria, a member of Indorama Corporation, is a Poly-Olefins producer of a range of Poly-Ethylene and Poly-Propylene products. INEOS is a young company. It has grown through a series of related acquisitions to become a leading chemical company with sales today around $ 40 billion. InfraStrata is an independent gas storage and petroleum exploration company. We are engaged in the energy supply business on a global scale. Our operations include acquisition of license blocks for oil and gas fields, exploration, production and the sale of processed products. Intercept Minerals Ltd (formerly Uramet Minerals Limited) was listed on the Australian Securities Exchange on 19 June 2007, after acquiring the Australian exploration tenements of Elkedra Diamonds NL. Irving Equipment is Atlantic Canada's largest provider of crane rental, heavy lifting, specialized transportation, pile driving, wind energy and project management services.We also serve the heavy lifting needs of the Northeastern United States and the Ohio River Valley. Applied Resolution Technologies developes and manufactures laser application devices under IECex Certification. ART is also an IECEx Certified Repair Facility. We supply standard Certified products, and also develop and Certify custom devices such as laser range-finder and safety systems. Jinchuan Group International Resources Co. Ltd. Jubilant Energy has a diversified and balanced portfolio comprising of nine blocks in India of which one is a producing field, one under appraisal and development and rest of the blocks are in various stages of appraisal and exploration. It also has stake in one exploration block in Australia. K Road Power is an independent power producer that develops, owns and operates utility-scale renewable energy projects with a focus on building photovoltaic solar power projects in the Southwest United States. Kalahari Minerals plc is a wholly owned by Taurus Mineral Limited (“Taurus”), a company formed at the direction of CGNPC Uranium Resources Co., Ltd (‘CGNPC-URC’) and the China-Africa Development Fund (‘CADFund’). KalNorth Gold Mines Limited (ASX: KGM) is a gold mining company with a dominant regional footprint in the world-renowned Kalgoorlie goldfields region of Western Australia. Kamensk Uralsky Metallurgical Works (KUMZ in Russian abbreviation) is one of the largest downstream companies in Russia. KUMZ has a rich history as it was founded in 1944 as a manufacturer of semi-finished products in aluminium-, magnesium-based and aluminium-lithium alloys. Kanoria Chemicals & Industries Limited (KCI) ) is an ISO 9001, ISO 14001 and OHSAS 18001 certified leading manufacturer of chemical intermediates in India. Kardemir consists of main integrated plants such as Coke Plants, Blast Furnaces, Steel Plant, Continuous Casters Plants, Rolling Mills, Power Plant, Machinery Factories, Foundry Plant, Steel Construction Plants, Lime and Oxygen Plant. Karnalyte Resources Inc. is engaged in the business of exploration and development of high quality agricultural and industrial potash and magnesium products. Kea Petroleum plc was incorporated in England and Wales on 18 September 2009 and listed on AIM in February 2010. Kentucky Utilities Company (KU) is a regulated electric utility, based in Lexington, Kentucky, serving customers in 77 Kentucky counties and five counties in Virginia (under the name Old Dominion Power - ODP). Korea Electric Power Corporation is a Korea-based company engaged in the generation, transmission and distribution of electricity and development of electric power resources in the Republic of Korea. KOGAS an abbreviation for Korea Gas Corporation, was incorporated by the Korean government in 1983. Since its founding, it has grown to become the world's largest LNG importer. KrisEnergy holds interests in 14 licences in Cambodia, Indonesia, Thailand and Vietnam covering a gross acreage of more than 63,000 sq km. We operate six of the contract areas. Kula Gold is the 100 per cent owner of an advanced stage gold project with significant additional exploration potential on Woodlark Island, located approximately 250 kilometres from the Papua New Guinean mainland. Kuopio Energy supplies electricity and district heating as well as associated services to Kuopio and surrounding areas. Established in Kuwait in August 2005, Kuwait Energy is an independent Oil & Gas Exploration and Production company. In 1934 the Kuwait Oil Company Ltd. was established by the Anglo-Persian Oil Company, now known as the British Petroleum Company, and Gulf Oil Corporation, now known as Chevron Corporation. LINN Energy's diversified asset base is comprised of four core operating areas – Mid-Continent including Granite Wash; Permian Basin; Michigan; California. We have interests in more than 9,000 producing wells across the United States. London Mining Plc is a UK-based company that is developing mines for the steel industry. From soft drinks bottles to fashion, trigger sprays to cosmetic and pharmaceutical packaging, our PET resin and PTA intermediate are used in wide range of polyester products throughout Europe and beyond. LS Power is working to bring forward energy solutions to power America now and into the future – solutions that are both safe and protective of the environment. As an international oil and gas exploration and production company operating globally, our aim is to explore for and produce oil and gas in the most economically efficient, socially responsible and environmentally acceptable way, for the benefit of shareholders, employees and co-ventures. Luossavaara-Kiirunavaara AB (publ) is abbreviated LKAB. It is a high-tech international minerals group, world leading producer of processed iron ore products for steelmaking, and a growing supplier of mineral products for other industrial sectors. Ma'aden Bauxite and Alumina Co.
Magnolia Petroleum plc is an AIM listed oil and gas production company focused on the acquisition, exploitation and development of oil and gas properties primarily located onshore in the United States. Marubeni is involved in the handling of products and provision of services in a broad range of sectors. Methanex is the world's largest supplier of methanol to major international markets in North America, Asia Pacific, Europe and Latin America. This means every day - the world over - Methanex plays a vital role in people's lives. Midway Gold Corp. was incorporated in 1996 in British Columbia, and since 2004 has been focused on the advancement of its current property portfolio. Minera IRL Limited together with its subsidiaries (the "Group") is a Latin American precious metals mining, development and exploration company. Mitsubishi Corporation (MC) is a global integrated business enterprise that develops and operates businesses across virtually every industry including industrial finance, energy, metals, machinery, chemicals, foods, and environmental business. The Hungarian Oil & Gas Company Plc (MOL Rt.) was founded in 1991, and that alone represents a milestone in the history of the Hungarian petroleum industry. Since its founding, Mongolyn Alt (MAK) Corporation has set its core goal to contribute to the country’s prosperity, and ensure the stable business development of the Company as well as honor social responsibility for the community. The Group currently manages manufacturing units for Sponge Iron, Steel Melting & Rolling Mill, Ferro- Alloys Plant, Power Generation units, Mining & Mineral Beneficiation of Coal, Iron Ore and other minerals. MOSENERGO is currently the largest generating company operating on fossil fuel. The power plants of MOSENERGO have installed electricity capacity of 12,300 MW and thermal capacity of 40,800 MW. MOSENERGO is the largest thermal generation company in the world. Motiva Enterprises LLC operates primarily in the eastern and southern United States. MPX Energia S.A., an EBX Group company, is a Brazilian diversified energy company with complementary businesses in power generation and natural gas E&P in South America. In 2002, Mubadala - the Arabic word for ‘exchange’ - was established by the Government of Abu Dhabi, with a mandate to facilitate the diversification of Abu Dhabi’s economy. Musket Corporation is a privately held commodity supply, trading and logistics company with offices in Oklahoma City, Okla., Houston, Texas, Phoenix, Ariz., and Calgary, AB Canada. Mutiny Gold (ASX: MYG) is an emerging gold copper producer focused on the exploration and development of its gold, copper and nickel tenements in Western Australia. Naftogaz of Ukraine produces one eighth of the gross domestic product of Ukraine and provides one tenth of the State budget revenues. The total number of the Company’s employees is 175 thousand people, which is about 1% of Ukraine’s employable population. NaftoGaz India is a leading EPC contractor in the Oil & Gas Business. NAFTOGAZ is involved in wide spectrum of Oil & Gas activities both in the upstream, downstream and mid stream sectors. Nan Ya Plastics primarily manufactures plastics, fibers, and electronic materials. National Aluminium Company Ltd. (Nalco) is considered to be a turning point in the history of Indian Aluminium Industry. NOC owns refining, and oil and gas processing companies, operating refineriessuch as Zawia and Ras Lanuf refineries, ammonia, urea and methanol plants, the Ras Lanuf petrochemical complex and the gas processing plan. Nautical Petroleum plc intends to become a significant producer of oil, initially in the United Kingdom Continental Shelf (UKCS) and in Europe. Ncondezi Coal is an emerging Mozambican coal development company focused on servicing the world’s growing energy markets via the development of its large, long life, thermal coal mining project in the Tete Province of Mozambique. Neoenergia is one of the largest groups of the Brazilian electrical sector, acting in the entire electric energy production chain, with businesses in the areas of generation, transmission, distribution and commercialization. Neon Energy Ltd is an emerging petroleum exploration and production company listed on the Australian Securities Exchange. The company is headquartered in Perth, Western Australia, with an operations office in Bakersfield, California. New Hope is an independent, energy company which has open cut mines at Acland on the Darling Downs, and at Rosewood near Ipswich. New York Independent System Operator Inc. The New York Independent System Operator (NYISO) is at the heart of New York State’s electric system, operating the high-voltage transmission network, administering and monitoring the wholesale electricity markets, and planning for the state’s energy future. New Zealand Oil & Gas Ltd.
New Zealand Oil & Gas Limited (NZOG) is an independent, Wellington-based exploration and production company listed on both the New Zealand and Australian stock exchanges. We have over 15,000 shareholders, with a mix of retail and institutional investors. Newcrest is the largest gold producer listed on the ASX and one of the top five gold mining companies globally by production, reserves and market capitalization. Newfield Exploration Company (NYSE:NFX) is an independent energy company headquartered in the Woodlands, Texas. Newfield is engaged in the exploration, development and production of crude oil, natural gas and natural gas liquids. Nexen Inc. is an upstream oil and gas company responsibly developing energy resources in the UK North Sea, offshore West Africa, the Gulf of Mexico and Western Canada. Nexen has three principal businesses: conventional oil and gas, oil sands and shale gas. NextEra Energy is North America’s top producer of energy from the wind and the sun, with a greenhouse gas emissions rate among the lowest of any large power company. Nexus Energy Limited (ASX:NXS) is a Melbourne based, Australian Securities Exchange listed oil and gas company. In 2009 Nexus transitioned from explorer to producer with the start up of the Longtom gas project. Nickel Asia Corporation (NAC), the Philippines' largest producer of lateritic nickel ore and one of the largest in the world. Nido Petroleum Limited is a Philippine focused oil and gas company with a dominant position in the North West Palawan Basin, Philippines, holding a net acreage position of 14,641km2. The Basin is a highly prospective address for oil and gas exploration with a history of multiple discoveries. In addition to its exploration activities, the Corporation was given powers and operational interests in refining, petrochemicals and products transportation as well as marketing. Nippon Coke & Engineering Co. Ltd.
Our business is built on many years of achievement in the field of resource and energy of Japan and the world through the production and supply of high quality coke. Nippon Steel Group, focused on steel manufacturing, will contribute to industrial development and the enhancement of peoples' lives through creating and supplying valuable and attractive products and ideas. Japan-based Nippon Yusen Kabushiki Kaisha or NYK Line, is one of the largest shipping companies in the world. It is a core Mitsubishi company. The company has its headquarters in Chiyoda, Tokyo. Niskalp Energy Limited was formerly known as Niskalp Investments And Trading Co., Ltd. The company was incorporated in 1989 and is based in Mumbai, India. Incorporated in 1958 as a Government of India fully owned public enterprise. NMDC is under the administrative control of the Ministry of Steel, Government of India. Noble Energy, Inc. is a leading independent energy company with a diverse portfolio of high-quality assets, a track record of success and a sound strategy for the future. Noble Group is a diversified natural resources supply chain manager of agricultural and energy products and metals, minerals and ores. Nordgold is an emerging markets gold producer, with operations in Burkina Faso, Guinea, Kazakhstan and Russia. Our company is young, dynamic and fast-growing. We are led by experienced management and aim for the highest standards of performance and sustainability. Norilsk Nickel Mining & Metallurgical Co.
Norilsk Nickel is the world’s largest producer of nickel and palladium and one of the leading producers of platinum and copper. It also produces various by-products, such as cobalt, rhodium, silver, gold, iridium, ruthenium, selenium, tellurium and sulfur. Hydro is a global supplier of aluminium with activities throughout the value chain, from bauxite extraction to the production of rolled and extruded aluminium products and building systems. Based in Norway, the company employs 22,000 people in more than 40 countries. Northam Platinum Limited (Northam) is an independent integrated platinum group metals (PGM) producer listed on the JSE Limited (JSE). Northeast Utilities operates New England’s largest utility system serving more than 3.5 million electric and natural gas customers in Connecticut, Massachusetts and New Hampshire. Northern Dynasty is a mineral exploration and development company based in Vancouver, British Columbia, and publicly traded in Canada (TSX:NDM) and the United States (NYSE AMEX: NAK). Northern Energy Corporation Limited (ABN 90 081 244 395) is an ASX-listed company (ASX Code: NEC) with coal projects in Queensland and New South Wales, Australia. Northern Petroleum is an oil and gas explorer and producer, operating in areas of low risk. The Company strategy is to obtain and develop concentrated licence positions holding high quality prospects. Novelis is making the world lighter, brighter and better. Headquartered in Atlanta, Georgia, we are the leading producer of rolled aluminum products in Europe and South America, the number two producer in both North America and Asia, and the global leader in aluminum beverage can recycling. Novozymes is a biotech company with a strong focus on enzyme production. We are committed to changing the very foundations of our industrial system for the better by using industrial biotechnology. NRG Energy is a Fortune 250 wholesale power generation company headquartered in Princeton, New Jersey. For more than 100 years, NSTAR Electric and Gas has been delivering safe and reliable electricity and natural gas to customers in Eastern, Central and Southeastern Massachusetts. NTPC, India's largest power company, was set up in 1975 to accelerate power development in India. It is emerging as an ‘Integrated Power Major’, with a significant presence in the entire value chain of power generation business. Nuclear Power Corporation of India Limited is a Public Sector Enterprise under the administrative control of the Department of Atomic Energy (DAE), Government of India. Nunaoil is the National Oil Company of Greenland established in 1985 and fully owned by the Government of Greenland. NuStar GP Holdings, LLC (NYSE: NSH) owns general partner and limited partner interests in NuStar Energy L.P. (NYSE: NS), one of the nation's largest asphalt refiners and marketers and operators of petroleum product terminals and petroleum liquids pipelines. NV Energy has served citizens in northern Nevada for over 150 years, and southern Nevada since 1906. Nevada Power, Sierra Pacific Power and Sierra Pacific Resources merged in July 1999 to create one of the fastest growing energy companies listed on the New York Stock Exchange. Occidental Petroleum Corporation (NYSE: OXY) is an international oil and gas exploration and production company — the fourth-largest in the U.S., based on equity market capitalization — and our OxyChem subsidiary is a major North American chemical manufacturer. OCP, un des leaders mondiaux sur le marché du phosphate et des produits dérivés, est un acteur de référence incontournable sur le marché international depuis sa création en 1920. OGDCL is the national oil & gas company of Pakistan and the flagship of the country’s E&P sector. The Company is the local market leader in terms of reserves, production and acreage, and is listed on all three stock exchanges in Pakistan and also on the London Stock Exchange since December 2006. Conteúdo da Página OGX is the EBX Group company that operates in the exploration, production and trading of oil and natural gas. Created in 2007, the company has a portfolio of potential resources estimated at 10.8 billion barrels of oil equivalent (boe). ONGC is now a Fortune 500 Company (with 413th rank) and is the only and the first ever Indian Company to figure in the Fortune’s list of ‘World’s Most Admired Companies” in the year 2007. We bring our vision to reality by dedication and passion that brings to the doorsteps of clients unprecedented services in their energy needs. In this way, we would have contributed our own quota to the developing economies of the West African sub region and Africa at large. With Group sales of EUR 34.05 bn and a workforce of 29,800 employees in 2011, OMV Aktiengesellschaft is one of Austria’s largest listed industrial companies. OneSteel is an integrated miner, manufacturer, distributor and recycler of metals and steel related products that is self-sufficient in iron ore and has the ability to be self-sufficient in scrap metal, with revenues in excess of $7 billion Australian dollars. Optimum Coal has the vision to become the country’s benchmark South African owned and controlled coal mining and exploration group. We are a leading international fertilizer producer and construction contractor based in Cairo, Egypt. We are one of the region’s largest corporations with projects and investments across Europe, the Middle East, North America, and North Africa. Ormonde Espana SL is asubsidary of Ormonde Mining Plc, which is an AIM & ESM listed mineral resource company which is developing mining projects and carrying out exploration in Spain. Ormonde Mining Plc is an AIM & ESM listed mineral resource company which is developing mining projects and carrying out exploration in Spain. OZ Minerals is an Australian based mining company with a focus on copper. The Company owns and operates the high quality Prominent Hill copper-gold mine in South Australia and is maximising value from the Prominent Hill operation and from exploration in the highly prospective region. PA Resources' business consists of the acquisition, extraction and sale of oil and gas reserves, as well as exploration to find new reserves. Pacific Rubiales is a public company listed on the Toronto and Colombian stock exchanges. The Company is the largest independent oil and gas exploration and production company in Colombia. PacifiCorp is one of the West's leading utilities, serving approximately 1.7 million customers in six states. Peabody is BTU, and Btu is energy. Peabody serves high-growth markets, lighting lives and fueling economies in more than 25 nations on six continents. Peregrine Midstream Partners LLC and its principals are recognized leaders in natural gas storage and storage-related midstream asset acquisition and development. Saudi Aramco and Sumitomo Chemical started the Petro Rabigh Project with the aim of building integrated oil refining and petrochemical operations by way of upgrading Saudi Aramco’s oil refinery and constructing a new petrochemical complex. Petrobras is driven by the challenge of supplying the energy that can propel development and ensure the future of the society with competency, ethics, cordiality, and respect for diversity. PETRONAS was incorporated on 17 August 1974 as the national oil company of Malaysia, vested with the entire ownership and control of the petroleum resources in the country. Petromin PNG Holdings Limited is an independent company created by the State of Papua New Guinea to hold the State's assets and to maximise indigenious ownership and revenue gains in the mineral and petroleum sectors. Phillips 66 is an advantaged downstream energy company, with segment-leading Refining and Marketing (R&M), Midstream and Chemicals businesses. PICO International Petroleum is revitalizing and optimizing production at small and medium sized mature fields, where its interests span the range of oil and gas upstream activity — from near field exploration, to full field development planning and operations. Polskie Gornictwo Naftowe i Gazownictwo S.A.
Polskie Górnictwo Naftowe i Gazownictwo is the largest Polish oil and gas exploration and production company. Power Company of Wyoming LLC's Chokecherry and Sierra Madre Wind Energy Project is a 1,000-turbine wind farm to be located south of Rawlins in Carbon County, Wyoming. As dramatic changes have come to the worldwide energy business, PPL Corporation has emerged as a company that is reinventing the way customers and investors think about electricity. PRIMERO MINING CORP. is a Canadian-based precious metals producer with operations in Mexico and intentions to become a leading intermediate gold producer. Primero offers exposure to unhedged, low cash cost gold production with a substantial resource base in a low political risk jurisdiction. Prologis is the leading global provider of industrial real estate, offering customers approximately 600 million square feet (55.7 million square meters) of distribution space in markets across the Americas, Europe and Asia. Providence Resources is an Irish based upstream oil and gas company active in Ireland and the United Kingdom. PT Adaro Energy Terbuka operates in the Bituminous coal--underground sector. PT Adaro Energy Tbk is an Indonesia-based integrated coal mining company. PTTEP is a national petroleum exploration and production company dedicating to provide a sustainable petroleum supply to Thailand and the countries we operate as well to bring in foreign exchange earnings to our country. PSEG consists of the following four companies: Public Service Electric and Gas Company (PSE&G), PSEG Power, PSEG Energy Holdings and PSEG Services Corporation. QCoal Pty Ltd is a privately owned company focused on coal exploration and mining. QCoal has been active in coal exploration and development throughout Queensland since 1989. The largest privately owned company in Brazil’s E&P sector in terms of daily production in barrels, Queiroz Galvão Exploração e Produção (QGEP) is prepared for the extraordinary growth of the Brazil’s oil industry. Red Mountain Mining (ASX: RMX) is primarily a gold explorer and project acquisition company incorporated in Australia in May 2006 and which listed on the ASX in September 2011. The Reliance Group, founded by Dhirubhai H. Ambani (1932-2002), is India's largest private sector enterprise, with businesses in the energy and materials value chain. Group's annual revenues are in excess of US$ 66 billion. ReNew Wind Power Pvt. Ltd.
Spain's largest oil company. A fully integrated oil and gas company, it operates in Latin America, the Middle East, and North Africa. Resolute Forest Products is a global leader in the forest products industry with a diverse range of products, including newsprint, commercial printing papers, market pulp and wood products. Roc Oil Company Limited (ROC) is one of Australia's leading independent upstream oil and gas companies. Incorporated in Australia, ROC listed on the Australian Securities Exchange (ASX) in 1999. ROC currently has approximately 682.5 million shares on issue. Rocky Mountain Power serves customers in Utah and Idaho. Rosneft is the leader of Russia’s petroleum industry, and ranks among the world’s top publicly traded oil and gas companies. The Company is primarily engaged in exploration and production of hydrocarbons, production of petroleum products and petrochemicals, and marketing of outputs. We are a global group of energy and petrochemicals companies with around 93,000 employees in more than 90 countries and territories. RWE is one of Europe’s five leading electricity and gas companies. S&B mines and processes bentonite, perlite, bauxite, zeolite, wollastonite and produces continuous casting fluxes and a variety of specialty products for a wide range of industrial applications and markets, thus contributing to our modern and sustainable life. Sadara Chemical Company (Sadara), a joint venture that will construct, own and operate a world-scale integrated chemicals complex in Jubail Industrial City II, in the Eastern Province of the Kingdom of Saudi Arabia. Sands China Ltd. is the leading developer of multi-use integrated resorts in Macao. An Australian energy pioneer since 1954, Santos is one of the country’s leading gas producers, supplying Australian and Asian customers. The group's mission is to help improve, through energy generation, the everyday quality of life of individuals, creating value for staff, customers, shareholders and the territories in which it operates. We add value to coal, oil and gas reserves, using these feedstocks to make liquid fuels, fuel components and chemicals through our unique Sasol proprietary technologies. Our commitment to remain the world leader in the production of petroleum-based energy is complemented by our commitment to help solve a host of pressing issues. Saudi Aramco Total Refining and Petrochemical Co.
We are committed to provide our customers with safe & reliable electric services, to meet the expectations of our shareholders, caring for our employees, and ensuring optimum utilization of available resources. Scottish & Southern Energy PLC (SSE) is a leading electricity and gas company, operating mainly in the UK and Ireland. With 17,500 employees, the Sempra Energy companies develop energy infrastructure, operate utilities, and provide related products and services to more than 31 million consumers worldwide. ShadowAir Ltd. provides a wide area of services such as Oil & Gas Pipelines Monitoring, Environmental Surveys, Wide Area Patrolling, Geographical Mapping, Surveillance Solutions, etc. The Shenhua Group is one of the largest manufacturers, and the largest exporter, of home textile fabrics in China , focusing on mid to high end quality fabrics for the home textiles market. Shizuokagas Co Ltd is a Japan-based distributor of gas. Showa Shell Sekiyu K.K. is one of Japan's leading oil refiners and distributors of petroleum products. The company is part of the Royal Dutch/Shell Group, which holds a 50 percent stake in Showa Shell. SIBUR is the leading petrochemical company in Russia and Eastern Europe. The Company operates across the entire petrochemical process chain from gas processing to the production of monomers, plastics and synthetic rubbers, as well as the processing of plastics. Sino Gas & Energy Holdings Ltd.
Sino Gas & Energy Holdings Limited (ASX: SEH, Sino Gas) is an Australian company focused on developing Chinese gas assets. The Company has operated in Beijing since 2005 and holds a portfolio of unconventional Gas Assets in China through Production Sharing Contracts (PSC’s). Sirte Oil Company (SOC) is an oil and gas company of Libya operating under the state-owned National Oil Corporation (NOC). The company is located in Brega SOC’s operations include oil and gas exploration and production (E&P) and manufacturing. The Sojitz Group helps build a more prosperous society through global-scale business development with integrity as its top priority. Solo Oil and its directors and consultants are currently looking to acquire oil and gas exploration, development and production companies and single assets in the Americas, Europe and Africa with a view to building a diverse portfolio of quality Hydrocarbon assets. Solyndra was a manufacturer of cylindrical panels of CIGS thin-film solar cells based in Fremont, California. With 4.4 million customers and more than 42,000 megawatts of generating capacity, Atlanta-based Southern Company (NYSE: SO) is the premier energy company serving the Southeast. Southern Union Company (NYSE: SUG) is engaged primarily in the transportation, storage, gathering, processing and distribution of natural gas. Headquartered in Houston, Southern Union is one of the nation’s leading diversified natural gas companies. Southwestern Energy Company is a growing independent energy company primarily engaged in natural gas and crude oil exploration, development and production within North America. Spectra Energy develops and operates natural gas, liquids and crude oil pipelines. Additionally, the company gathers and processes natural gas, stores it and distributes it. State Grid Corporation of China (SGCC) is the largest electric power transmission and distribution company in China and in the world, headquartered in Xicheng District, Beijing. State Oil Company of Azerbaijan Republic (SOCAR) is one of the largest oil companies in the world. Statkraft SCA Vind AB is currently planning the construction of seven wind farms in forested areas of northern Sweden. The areas earmarked for construction lie in Västernorrland and Jämtland counties, between the towns of Sollefteå, Strömsund and Bräcke. Stolt-Nielsen Limited is a leading global provider of bulk-liquid transportation, storage and distribution services through its three largest operating units: Stolt Tankers, Stolthaven Terminals and Stolt Tank Containers. Stone Energy Corporation is an independent oil and natural gas exploration and production company headquartered in Lafayette, Louisiana, with additional offices in New Orleans, Louisiana, Houston, Texas and Morgantown, West Virginia. Strategic Elements Ltd (ASX:SOR) is Australia’s only listed Pooled Development Fund actively funding and developing projects in the materials sector. Strike Energy Limited is an active oil and gas exploration and producton company. Sumatra Copper & Gold plc is a gold and silver emerging producer with a suite of highly prospective tenements across 3,200 km2 in Sumatra. Sumatra is fast-tracking development of its historic Tembang Project to accelerate shareholder value, with production on-track to commence during 2013. We are Suzano Pulp and Paper, a company established 88 years ago whose path has been marked by the constant pursuit of sustainable development. Swakop Uranium is a wholly-owned Namibian subsidiary of Taurus Minerals Limited, an entity owned by China Guangong Nuclear Power Company (CGNPC) Uranium Resources Co., Ltd. and the China-Africa Development Fund. Syncrude is one of the largest producers of crude oil from Canada's oil sands. TAG Oil Ltd. is a rapidly growing, profitable oil and gas producer with high impact exploration activities in New Zealand. Taiwan Power Company is a public utility and the sole integrated power company in Taiwan. Talisman Energy Inc. is a global, diversified, upstream oil and gas company, headquartered in Canada. The Tata group comprises over 100 operating companies in seven business sectors: communications and information technology, engineering, materials, services, energy, consumer products and chemicals. Tata Power is India’s largest integrated private power company with consolidated revenues of Rs. 19450.76 Crores for the fiscal year ended March 31, 2011. Tata Steel is a top ten global steel maker and the world’s second most geographically diversified steel producer. We TCTM, a Swiss company based in Lugano, specialise in EOR techniques. Our patents mainly cover BM technology and other relevant thermo-chemical methods relating to improving oil well output and therefore prolonging the wells lifetime and lowering the EL = economical limit. Companies that act worldwide, global or regional leaders in their fields, with deep roots in the countries where they operate, each with its own aims and strategies but all partaking an original philosophy of long term presence, commitment to local development, quality and technology. TenneT is one of four transmission grid operators in Germany and is responsible for a reliable power supply. Our area alone covers more than 140,000 square kilometres. We would be happy to inform you in our website about us, our company and our employees. Texaco China BV is engaged in the exploration and production of natural gas. We manufacture and market fuels, lubricants & coolants. The Laking Group is a market leading specialist recruitment and executive search consultancy within the Oil and Gas sector. As a company we believe that focusing our teams into vertical markets allows us to gain the technical knowledge required to deliver above our more generalist competition. Electricity is the essential energy to support economic and cultural activities. TEPCO will play an important role in our society by generating and supplying power. TEPCO will also positively utilize accumulated technology and experience, fostering environmental improvements. Total is a leading multinational energy company with 96,387 employees and operations in more than 130 countries. We build and operate the energy infrastructure that North America needs. Experts in our field, known for our solid financial track record, for our integrity and high standards of corporate governance and business ethics, we are committed to being a good neighbour. Trevali is a zinc-focused base metals developer with operations in Canada and Peru -- the Halfmile and Santander mines respectively. Triventus is a company that specialises in renewable energy, focusing on wind, water and biogas. The Group brings together a breadth of expertise that makes us unique on the market. TSRC, formerly known as Taiwan Synthetic Rubber Corp., was established in 1973 by the founder Mr. Glyn T.H. Ing to support government’s policy on developing petrochemical industry in Taiwan. We have a large portfolio of exploration and production assets including interests in over 90 licences in 22 countries. Production from nine countries averaged 58,100 boepd in 2010. Tundra Oil & Gas is a wholly-owned business of Winnipeg-based James Richardson & Sons, Limited, a private family company established in 1857. JRSL is a multi-disciplined enterprise with operations in agriculture, food processing, financial services, property management and energy exploration. International activities have made TPAO an important actor in the region since the early 1990’s. TPAO conducts its international activities especially in Caspian Region (Azerbaijan, Kazakhstan), North Africa (Libya) and Iraq. Turquoise Hill Resources (TRQ: TSX, NYSE & NASDAQ) is an international mining company focused on copper, gold and coal mines in the Asia Pacific region. UniSource Energy's principal subsidiary, Tucson Electric Power (TEP), provides safe, reliable power to more than 402,000 customers in southern Arizona. ISOLATEK INTERNATIONAL® provides passive fireproofing materials under the CAFCO® trade name throughout the Americas and under the ISOLATEK™ brand worldwide. URENCO operates in a pivotal area of the nuclear fuel supply chain which ends with the sustainable generation of electricity for consumers around the world. The supply chain itself can be subdivided into four key processes: mining; conversion; enrichment; and fabrication. Valero Energy Corporation is a Fortune 500 company based in San Antonio, and through its subsidiaries is the world’s largest independent petroleum refiner and marketer. Vandanaa Group is a regular profit making, professionally managed, industrial organization of Chhattisgarh and is into the business of Steel and Power for the past 26 years. VERBUND is Austria's leading electricity company and one of the largest producers of electricity from hydropower in Europe. Vimmerby Energy & Environment Ltd delivers convenient and secure renewable electricity and heat energy to local customers. We take care of municipal streets, sewer and waste and deliver our most important - clean water. Voestalpine Stahl GmbH is the international steel center of competence within the voestalpine Group and has been a reliable supplier to the automotive, household appliance and construction industries for many years. Windland ist seit 1990 aktiv in der Entwicklung der Windenergie. Eine Tochtergesellschaft der Windland steht (Anfang August 2011) kurz vor der Fertigstellung eines Repowering-Projekts in Schleswig-Holstein. WindMW GmbH is responsible for the planning, construction and operation of the offshore wind farms Meerwind Süd and Meerwind Ost. The company whose shareholders are Blackstone (80%) and Windland Energieerzeugungs GmbH is located in Bremerhaven. Wintershall is a wholly owned subsidiary of BASF, which is based in Ludwigshafen, and specializes in energy. Woodside Petroleum Limited is an Australian petroleum exploration and production company. It is a public company listed on the Australian Securities Exchange and has its headquarters in Perth, Western Australia. Xcel Energy, Inc. (NYSE: XEL) is a public utility company based in Minneapolis, Minnesota, serving customers in Colorado, Michigan, Minnesota, New Mexico, North Dakota, South Dakota, Texas, and Wisconsin. Xstrata is a major global diversified mining group, listed on the London and Swiss stock exchanges. Yamana Gold Inc. is a Canadian-based gold producer with significant gold production, gold development stage properties, exploration properties, and land positions in Brazil, Argentina, Chile, Mexico and Colombia. Yanbu Aramco Sinopec Refining Co. Ltd.
Yanzhou Coal Mining Company is a coal mining company in Mainland China. Yara delivers solutions for sustainable agriculture, the environment and safe and efficient industry operations. Founded in Norway in 1905, Yara has a worldwide presence with sales to 150 countries. Safety is always our top priority. Yacimientos Petrolíferos Fiscales (YPF; English: "Fiscal Petroleum Fields") (BCBA: YPFD) is an Argentine oil company. OJSC Yukos Oil Company was a petroleum company in Russia which, until 2003, was controlled by Russian oligarch Mikhail Khodorkovsky and a number of other prominent Russian businessmen. In November 1977, Sheikh Zayed Bin Sultan Al Nahyan, promulgated Law No.9 for 1977 incorporating Zakum Development Company (ZADCO) to develop and operate the Upper Zakum field. Zambezi Resources Limited (Zambezi) listed on the ASX- (ZRL) - is focused on adding shareholder value by exploring for and developing copper and gold projects in Southern Zambia. The basis for the company’s strategy is Zambian mineral endowment, international capital and Australian expertise. Zargon's core business is the exploitation (increasing recovery factors) of existing oil reservoirs through enhanced recovery methods, development drilling or production optimizations. Zenith Minerals Limited is a Perth based company focused on increasing shareholder value by the identification, exploration and development of base, industrial and precious metal deposits, principally in Australia. Located at the southern coastal city of Shantou, one of the special economic zones in China, Zhongyeda Electric was jointly founded by its current core management team, with “China Pingan” as a strategic partner. Zimplat's business is production of platinum group metals from the Great Dyke in Zimbabwe. Zincore was formed in 2006 when Southwestern Resources Corp. spun off its zinc projects to create a new TSX-listed company. Zion’s mission is to explore for and find oil and gas in Israel. Zion’s principal assets are petroleum rights issued by the Ministry of National Infrastructures of the State of Israel. ZAAB Energy is an independent international oil and gas exploration and production company with a regional focus on the Russian Federation and Canada.